The cryptocurrency craze began in 2009. That was the year an unknown person calling himself Satoshi Nakamoto launched Bitcoin. Less than a decade later, there is an estimated $200 billion in cryptocurrencies currently circulating. While Bitcoin may be the largest and first, there are approximately 1000 other cryptocurrencies flooding the market. In addition to being anonymous, these “currencies” are also quite volatile. A recent 20% one day dip in Bitcoin values has caused many to ask about whether these forms of money are legitimate or fraud. In this post, we examine the origin of Bitcoin and other cryptocurrencies, a look at past market bubbles, recent enforcement actions and what others are saying. As leading fraud recovery and whistleblower lawyers, we also discuss how to spot and report cryptocurrency fraud and the huge cash awards available for doing so. Cryptocurrencies are digital currencies that allow people to send or receive payment electronically. Transactions take place on the Internet. Traditional currencies are called fiat currencies. They are issues by a government or central bank. Examples includes dollars, euros and rubles. Each is considered legal tender by the government that issues it and each is regulated by a government. Cryptocurrencies have no central bank and are not controlled by any government. People often confuse digital payment systems with cryptocurrencies. They are very different. For example, if I pay for goods in the U.S by PayPal, dollars will be taken from my bank account and transferred to the merchant’s account. PayPal works because my bank knows how many dollars are in my account and transfers those dollars to the merchant’s account. There are checks and balances in place to insure the banks keep track of the funds. In other words, I can’t spend the money in my account twice. In the Bitcoin or cryptocurrency world, there is no single server keeping track of my money. Until Bitcoin, that was why all other digital currency systems failed. Absent a single server to track funds, it was impossible to prevent double spending. In the cryptocurrency model, every single entity within the network must do that job. That is the only way to keep me from spending my bitcoin currency twice. It isn’t essential that you understand how cryptocurrencies work unless you are planning to invest in one. Unfortunately, we have encountered many people actively promoting new currency offerings (often called ICO’s or initial coin offerings) that have no clue how they work. In this post, we won’t go into the details of how cryptocurrency works. We suggest, however, “What is Cryptocurrency, Everything You Need to Know” as an easy to understand, short primer. We aren’t surprised that many in government are sounding the alarm about Bitcoin and other cryptocurrencies. After all, Uncle Sam has a monopoly on printing currency and is threatened by alternative monetary systems… currencies like Bitcoin that can’t be traced and aren’t easy to regulate. New York Federal Reserve President William Dudley says that the central bank is studying its own digital currency. He worries, however, that cryptocurrencies are subject to cyberattacks and could be exploited by both money launders and terror groups. There is more to the story, however. Many of the warnings coming from regulators are legitimate. The SEC worries that many of the new ICO’s may be subject to fraud. They say that these offerings are subject to federal securities laws. Even if the currency itself can’t easily be regulated, the SEC wants to insure that the people offering these currencies aren’t misrepresenting their products. Sadly, in our experience, many of the sales staff promoting these coin offerings can’t even explain how they work! In the typical ICO, virtual tokens (or “coins”) are sold by the offeror to the public. Often the promoters of these ICOs seek to get paid by Bitcoin or other cryptocurrency. The buyer gets tokens. The tokens allow the purchaser to obtain so many units of digital currency or share in the profits of the issuer. Many of these offerings have proven to be scams. Several experts say that most of these ICO’s are scams. The SEC has announced that it will take an expansive view of its jurisdiction when new currency offerings are involved. The Commission has issued written guidance that says any coin or token that can be exchanged for another cryptocurrency or fiat currency with the expectation of profit is within their jurisdiction. The real challenge for the SEC will be asserting their jurisdiction where it is unclear where these offerings take place. Often the groups making these ICOs have no physical presence and exist only as a website. While some rejoice that the cryptocurrencies can’t easily be controlled by regulators, that makes it harder for the SEC to protect would be investors from fraud and ICO scams. In many respects, cryptocurrencies and ICOs are the wild west of the securities world. Buyer beware! It’s not just the SEC that is trying to bring some order to cryptocurrencies. So is the U.S. Treasury Department, specifically, the Financial Crimes Enforcement Network known as FinCEN. Because cryptocurrencies have no central database and are anonymous, they have become the favored form of currency by terrorists and money launderers. Both FinCEN and the Justice Department say that virtual currencies are subject to U.S. anti-money laundering regulations. In July 2017, both agencies went after BTC-e and its purported operator, Russian national Alexander Vinnik. The BTC-e case is notable since involved U.S. criminal charges against a major European cryptocurrency issuer. The government said the company was laundering money and operating an unlicensed money service business. BTC-e was fined $110 million and Vinnik $12 million. Prosecutors say that BTC-e facilitated drug transactions, money laundering and even bribery of public officials (Foreign Corrupt Practices Act). Lest anyone think all this regulation is just an overreaction by the United States, the Chinese have taken even more extreme measures. Most developed countries are taking a measured approach like the United States designed to protect investors and thwart terrorism and drug cartel financing. Regular followers of cryptocurrencies are already aware of the IRS’ interest in Bitcoin exchanges. Uncle Sam thinks that people are not reporting their gains from Bitcoin investments. Given that Bitcoin has enjoyed an incredible rise in value and that there is no bank to issue 1099’s, the IRS is probably right! For most of 2017, the IRS has been battling Coinbase, the largest U.S. based Bitcoin exchange. The taxman wants to know the identities of Coinbases’s customers and how much money they have and how much profits they may have made. The IRS issued a subpoena for this information but Coinbase refused to turn over the records. On November 28, 2017 that battle came to a head. A federal judge on that date ordered Coinbase to turn over customer records for accounts that had at least one $20,000 transaction during the 2013 – 2015 time period. Coinbase says that means 9 million transactions involving 14,000+ customers! Bitcoin is certain big business in the U.S.
Are fears and worries about cryptocurrency fraud legitimate? Yes, they are. Even if you are not a fan of government regulation, Uncle Sam does have a legitimate interest in keeping the public safe from scams and preventing terrorism. Founded in 2010, Mt. Gox quickly became the largest Bitcoin exchange in the world. Located in Shibuya, Japan, the company closed suddenly and filed for bankruptcy protection after reporting that 850,000 bitcoins went missing. Back then, those coins were worth $450 million. That was in 2014, today those coins would be worth $9.35 billion. As the bankruptcy was wound down in 2016, only $91 million in assets had been tracked down and returned to creditors. Bitcoin owners were out hundreds of millions of dollars. Japanese police arrested Mt. Gox’s CEO but the charges were unrelated to the losses. The same anonymity that attracted so many people to Bitcoin made it also impossible to track down the stolen Bitcoins. According to media reports, the hack that brought down Mt. Gox wasn’t the first successful hack against the company. In a prior incident, hackers had stolen $8 million of Bitcoin but the company was able to make good. One would hope that after the Mt. Gox incident, the industry would tighten up. It didn’t. Bitcoin may be the largest of the cryptocurrencies but it isn’t the only one. Many people trust Bitcoin because it was so big. These are probably some of the same people who trusted Bernie Madoff and Madoff Securities. After all, he was “so big” that he couldn’t possibly be running a scam. On December 4th 2017, the SEC won am emergency court hearing to freeze assets and halt an initial coin offering involving Dominic Lacroix and a company called PlexCorps. The company was issuing a cryptocurrency called ‘PlexCoin’. In a press release, the SEC said that Lacroix had raised as much as $15 million in recent months. Investors who purchased PlexCoins were allegedly promised returns as high as 1354% in just 29 days! Annualized, that is a profit of 17,042%. While the returns apparently offered by Lacroix were clearly ridiculous, the SEC action is important for other reasons. It represents the first charges brought by the agency’s two month old Cyber Unit. Traditional regulatory actions take months and often years of investigations. Cryptocurrency ICO offerings have proven the ability to raise millions of dollars in days. The first case by SEC is a testament to the agency’s ability to respond quickly to emerging scams. What Are Others Saying About Bitcoin, ICOs and Cryptocurrency Fraud? 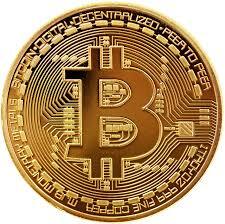 There is no shortage of opinion about the future of Bitcoin and other cryptocurrency offerings. Whether or not you put stock in the fears of regulators or believe they have their own agenda, others are also sounding the alarm. JPMorgan Chase CEO Jamie Dimon (no friend of ours!) said trading Bitcoin was “stupid” and will blow up. Bitcoin expert James Altucher told CNBC that the meteoric rise of Bitcoin and other cryptos is far from over. He thinks that Bitcoin will rise to $1,000,000.00+ per coin. In the same interview, however, he also admitted that 98% of cryptocurrencies are scams. We have seen many bubbles in recent history. At least today, the largest bubble in history was that of Tulip Mania. In just days, however, Bitcoin may soon pass tulip mania as the largest bubble. And we all know what history teaches us about bubbles. In the early 1600’s, tulips were imported into Europe from the Ottoman Empire. Wealthy Dutch were soon competing for the most exotic tulip blossoms. We may think it is crazy to invest all of our income in tulip bulbs but others would say that those who hand over their life savings to an Internet promoter of a virtual currency that you can’t see or hold are even crazier! The competition for rare tulips became so fierce that tulip bulbs were soon trading on Dutch exchanges. And the prices rose so high that many bulbs were trading for six times the average Dutchman’s annual salary. What happened? The same thing that happens with every bubble. Almost overnight the bottom of the market fell out leaving many in financial ruin. Unlike cryptocurrencies, however, the Dutch still at least had bulbs and could enjoy a few days of blossoms each year. As fraud recovery lawyers, I would love to say we can recover the losses of everyone who lost money in cryptocurrency and initial coin offering scams. We can’t. Despite volatility and susceptibility to fraud, there are few investment dollars that don’t get the attention of Wall Street. ICO’s and cryptocurrencies are no exception. Despite a million and one warnings, we are already seeing Wall Street getting involved in ICOs and existing virtual currencies. And what we see isn’t pretty. JP Morgan’s CEO may say that cryptos are “stupid” investments but that doesn’t stop Wall Street from trying to hustle their own buck out of these investments. Several buyers at ICOs complain that the people marketing the new currencies can’t explain what they are selling or how blockchain technology works. These ICOs often rely on slick websites but start asking questions and that is where the problems begin. We also note that the world’s largest futures exchange, the CME, is poised to launch its own Bitcoin futures contract on December 18th. The CBOE and Cantor Exchange are launching their own bitcoin derivatives. If you think bitcoin prices are volatile now, just wait until we have derivatives and futures! These contracts and new products aren’t illegal. In fact, the Commodity Futures Trading Commission has blessed CME’s new offering. Legal, however, doesn’t mean suitable. As an investor, you can purchase any futures contract, derivative, security or offering that you want. We know, however, that many investors rely on their financial advisor or stockbroker for investment advice. Depending on whether the person providing that advice is an investment adviser or registered representative, they may or may not owe the investor a fiduciary duty. And in both cases, they always must make “suitable” recommendations to customers. These new cryptocurrencies offerings, Bitcoin futures and ICOs are only suitable for a very small percentage of investors. For example, if you are nearing retirement you should not be invested in anything nearly as volatile as a crypto. Brokers and financial advisors also have a duty to perform due diligence on the products they offer. If history repeats itself, many of these offerings will turn out to be scams. In those cases, if you bought through a broker, you may be entitled to compensation. The SEC, FinCEN, IRS and bank regulators are all interested in taming the “Wild West” cryptocurrency marketplace. Whatever their real motivations may be, these agencies are all focused on cryptos right now. That means the time is right for an award if you have inside information about fraud. The IRS Whistleblower Program pays cash awards to people with inside information about fraud involving federal taxes. IRS whistleblower Bradley Birkenfeld received over $100 million in award money for dishing on his former employer UBS and how the bank helped U.S. taxpayers evade taxes by hiding money in Swiss accounts. Today the IRS believes that Americans are avoiding taxes by using Bitcoin and other cryptocurrencies. And with huge profits in some currencies like Bitcoin, you can bet that many people are not reporting those profits or paying taxes. If you have inside information, we can help you qualify for an award. We hear that cryptocurrencies are being used to facilitate bribes. They are popular for this purpose because they are hard to trace. If the intended beneficiary of the bribe is a foreign official, there may be a violation of the Foreign Corrupt Practices Act (FCPA). The SEC can pay awards for inside information about FCPA violations. or by phone at 202-800-9791. All inquiries are protected by the attorney – client privilege and kept confidential. As noted above, Wall Street and the bigger banks are already exploring ways to profit off alternative currencies. The Financial Institutions Reform Recovery and Enforcement Act pays awards when the inside information about fraud involving banks. That could mean a bank involved in its own ICO offering or a person who hurts a bank by selling the bank a large amount of worthless cryptocurrency. , online or by phone at (414) 704-6731 (direct). While we don’t think that 98% of all cryptocurrencies are scams, we do believe that technology hasn’t evolved enough yet to keep our cyber investments safe. Everyone who invests or holds Bitcoin or other cryptocurrencies is at risk. Absent a major fraud, Bitcoin is probably here to stay. Can it continue its growth rate? Who knows. In situations involving ICOs, Bitcoin derivative contracts, and crypto investments peddled by stockbrokers and financial advisers, we may be able to recover losses attributed to market volatility or fraud. If you have inside information about cryptocurrency fraud or bitcoin scams, we may also be able to get you large cash whistleblower awards.